Dumpster Rental Spartanburg SC | Bragg Waste Services Inc.
Bragg Waste Services has you covered when you need a roll-off dumpster rental in Spartanburg, SC. We provide dumpster rentals and roll-off container rental services throughout all of Upstate South Carolina and Spartanburg, Greenville, Pickens, Anderson, Cherokee, Oconee, Laurens, and Union counties. Bragg Waste is a locally owned waste services company, providing exceptional customer service for more than 35 years. You can have confidence in our reputation for providing reliable service with integrity, attention to detail and total customer satisfaction. Bragg Waste Services provides high-quality dumpster rentals at the most affordable cost with personalized customer service that sets us apart from other dumpster rental companies. No matter the size or scope of your project, we have a dumpster for you that will suit your needs at an affordable cost to fit within your budget. When you work with Bragg Waste you enjoy the personal attention of a locally owned and operated company with the quality and resources of a large waste management company. With quick price quotes, service and delivery of dumpsters and roll off containers, we can get you set up quickly and efficiently with the best dumpster for your project. We set up pickup and delivery services at convenient times for you, with a wide range of dumpster sizes to suit your needs. Bragg Waste is the only call you need to make to get dumpster rental service you can count on in Spartanburg, SC. 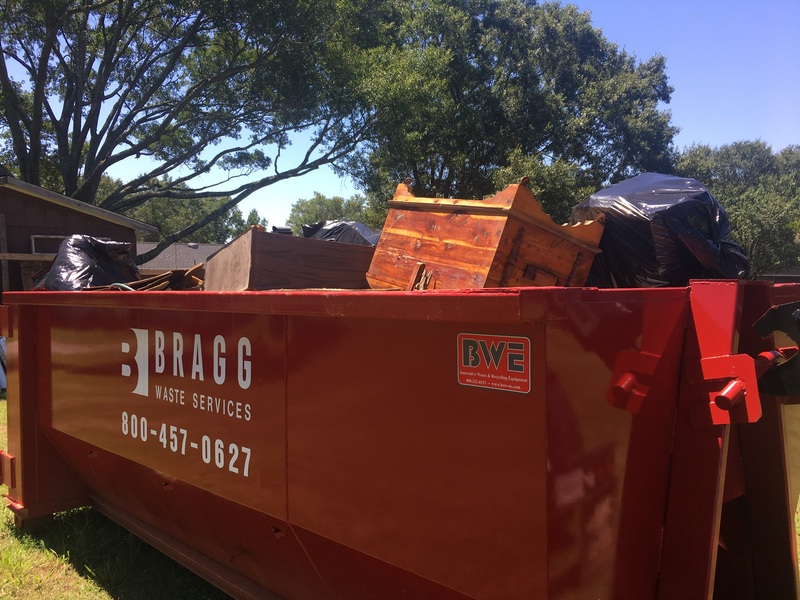 Bragg is a top choice for waste removal and clean-up services in Upstate South Carolina, our team will help you select the right size dumpster or roll-off container for your needs at the most affordable cost available. We take pride in providing exceptional customer service for all our waste management services, giving you “something to Bragg about”. Bragg Waste Services provides dumpster rentals in Spartanburg, SC services to help make your project a huge success. No need to haul the debris from your home remodeling project or worry about the service you will receive at your commercial construction job site. We are experienced professionals providing personalized attention to ensure your total satisfaction.